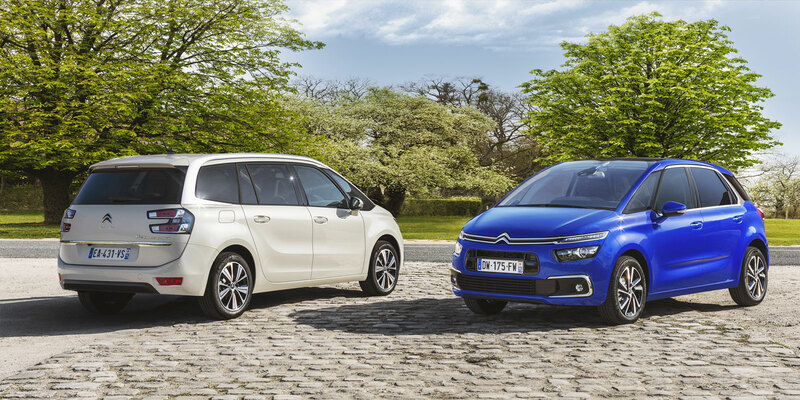 The new Citroën Grand C4 SpaceTourer, which is available to order here at Motorparks, is a seven-seater car from the French manufacturer. This model is a perfect set of wheels which your entire family will appreciate. It's a car which features a comfortable interior that packs in so much storage space, for one thing, as well as coming complete with a wide variety of driver assistance technology that will be functioning to keep all occupants safe while they're getting involved in a road trip. The new Citroën Grand C4 SpaceTourer features new levels of comfort and versatility and is available now from Motorparks Citroën and Oldham Motors Citroën. You can select from a variety of phenomenal engines to get the new Citroën Grand C4 SpaceTourer, including a PureTech petrol engine. Hailed as the 2018 International Engine of the Year in its category, this unit is designed to provide comfortable driving experiences no matter what speed you're travelling at. This seven-seater vehicle can also be manufactured with an EAT8 (Efficient Automatic Transmission 8) gearbox, which is setup to reduce CO2 emissions and fuel consumption by optimising gear changes. You're sure to capture plenty of attention wherever you head to with the new Citroën Grand C4 SpaceTourer, thanks to the car's bold exterior design. Both the driver and passengers are sure to feel relaxed during a road trip as well, due to the vehicle's cabin being designed with comfort in mind. Take a look around the outside of the new Grand C4 SpaceTourer and there'll be plenty to catch your eye. For instance, the dynamic lines etched across the car's bodywork gives the exterior a bold look. The rear lights of this seven-seater also utilises technology which works to create a stunning and deep 3D effect, while a collection of 17-inch alloy wheels is a sporty touch. Step behind the wheel of the new Grand C4 SpaceTourer and you'll be able to get comfortable in a cabin that's elegantly designed and beautifully trimmed. You'll notice that the interior is incredibly bright due to its panoramic sunroof too, not to mention exceptionally spacious - there's so much legroom for even seven adults in this vehicle. Handy technology is waiting to help you no matter which part of the new Citroën Grand C4 SpaceTourer you're checking out. A hands-free tailgate enables you to fill and empty the car's boot without any stress, for example, while a trio of connectivity systems gives you so much in-car entertainment to play about with. Many driving assistance aids have also been designed into this seven-seater vehicle. There's a speed limit recognition and recommendation feature that will ensure you always stay on the correct side of the law, intelligent beam headlights which makes driving at night even easier, and a reversing camera that will have you completing parking manouevres without any fuss. Make the new Citroën Grand C4 SpaceTourer your own by selecting some of the useful accessories which are available with this seven-seater, including stylish wheel trims, protective mud flaps and high load retaining nets. Get in touch online to enquire about every way that this vehicle can be personalised, as well as to find out even more about this spacious family car. Alternatively, call into our Oldham Citroën dealership in Greater Manchester to get a closer look at the new Grand C4 SpaceTourer.